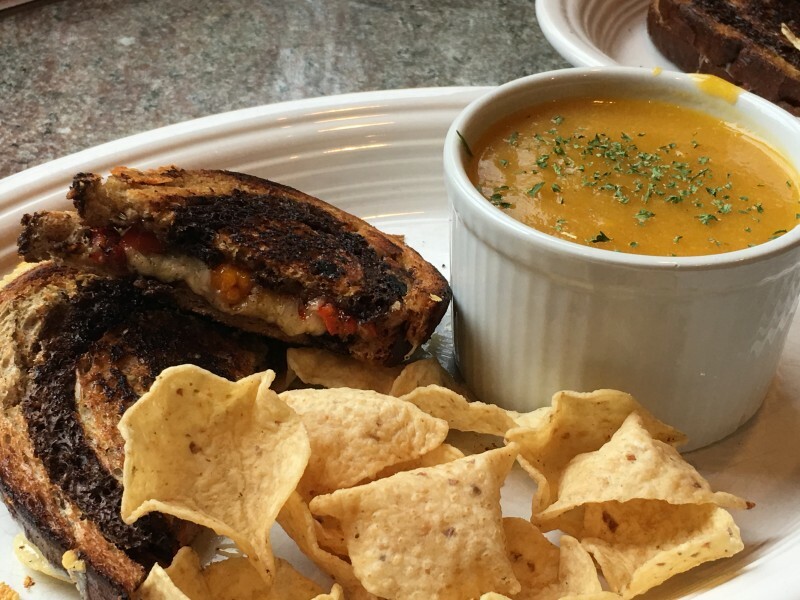 With an autumn as gray and we as this one, especilly on a weekend, grilled cheese and soup is just the ticket for cozy comfort on a rainy day. Grilled cheese is one of my favorites, but it can we, well, boring. 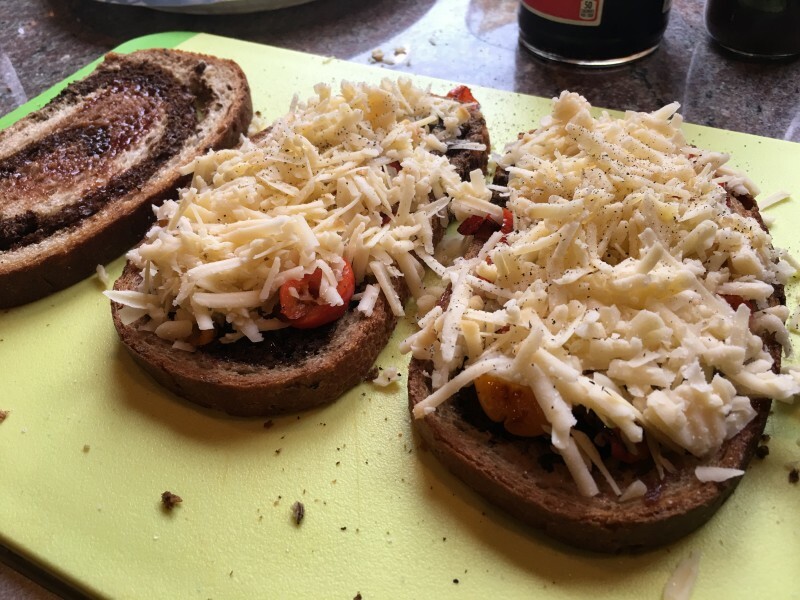 This grilled cheese recipe uses simple ingredients to create a flavorful, delicious version of this ultimate comfort food! Grate the cheeses, mix them up and set aside. In a small bowl, put 2 Tbls. 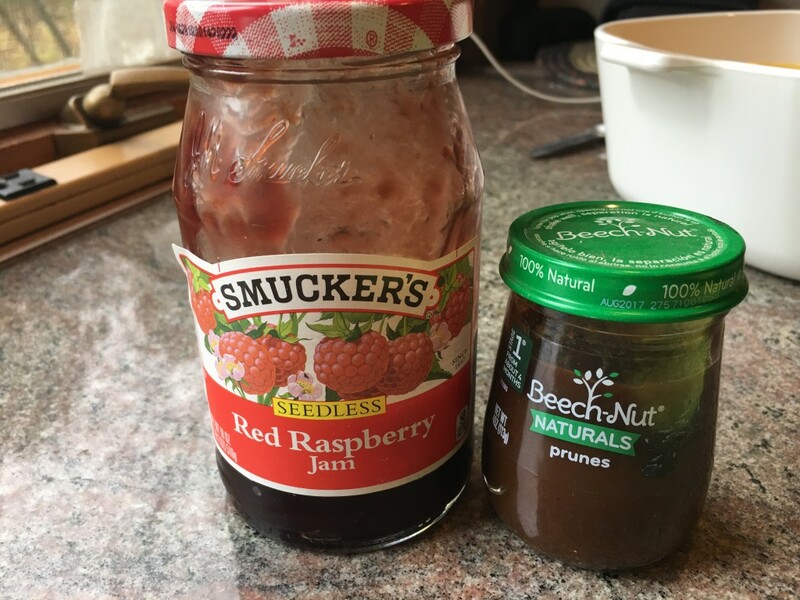 of raspberry jam, and 2 Tbls. of prune or plum puree. Stir together and set aside. Wash and dry sweet peppers; remove ends and scoop out seeds (I just scooped out with a paring knife). Slice thinly into rounds. Heat a little olive oil in a small/medium pan over med/high heat. 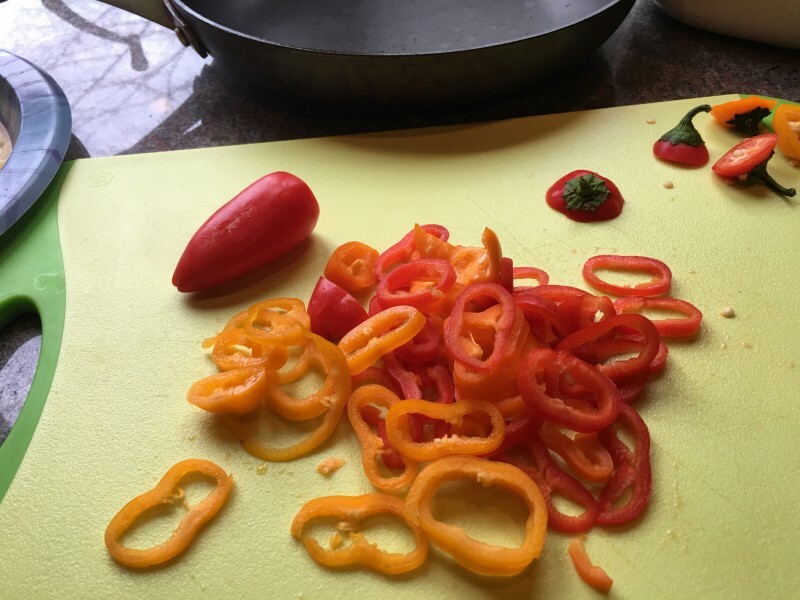 (I used non-stick, but I also really like my little cast iron skillet…everyone should have one in their kitchen – just make sure yours is seasoned). Saute for 3-5 minutes or till soft. Remove from heat, add salt and pepper, and put in a small bowl. Put 2 slices of bread on a flat surface; divide puree between them and spread. Divide sauteed peppers and grated cheese between both slices, salt and pepper if desired. Top with remaining bread slices. Reheat skilled on med/high heat with a little more olive oil. Add sandwiches and loosely cover pan with cover or tinfoil. Heat for 3-5 minutes each side until browned and cheese is nicely melted. 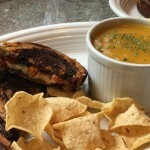 With delicious, blended flavors of cheese, sweet puree, and sweet peppers, this recipe is the ultimate rainy-day lunch! Heat a little olive oil in a small/medium pan over med/high heat. 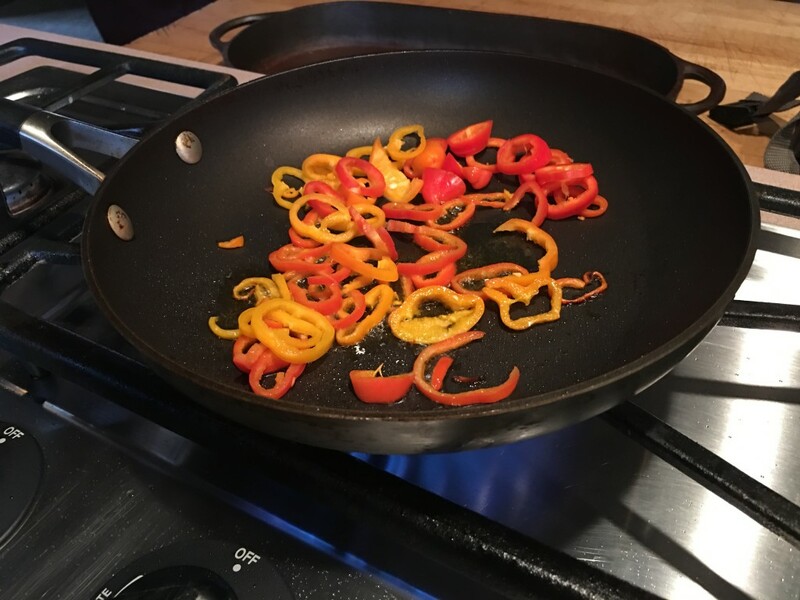 (I used non-stick, but I also really like my little cast iron skillet….just make sure yours is seasoned). Saute for 3-5 minutes or till soft. Remove from heat, add salt and pepper, and put in a small bowl.